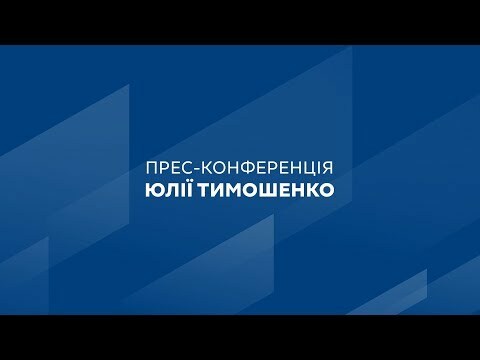 Presidential candidate and Batkivshchyna Party Leader Yulia Tymoshenko has urged Ukrainians to unite in order to remove the criminal, corrupt and rotten authorities and stop the influence of clans and oligarchs on the country. “We have gathered here today to recall the glorious history of Ukraine and say that from now on we have no right to allow defeat, weakness and loss of time. The era of stagnation, destruction and disorder must end and we must start an epoch of prosperity, victory, peace, economic growth and happiness. And I believe in this!” Yulia Tymoshenko said during a rally in Kyiv, held on Kontraktova Square. According to the politician, the issue today is that the next presidential election must “fundamentally change the system of decayed power and save the country from war and poverty,” otherwise the existence of the Ukrainian nation will be in danger. Therefore, now is the time to unite all Ukrainians for real change. “We need to put an end to the deception once and for all. I believe in the power of the people, because throughout Ukraine we see the unity of people, the enthusiasm and the desire to put an end to the unacceptable situation in Ukraine. And we will put an end to it,” said the Head of the Batkivshchyna Party. The parliamentarian stressed that she, as a candidate for President of Ukraine, together with the Batkivshchyna team and leading specialists in various fields, developed a fundamentally new vision of Ukraine’s future – the New Course for Ukraine, which will give people the right to manage the country through the adoption of a new Constitution through a referendum, raise the economy, science and education, improve living conditions, including decent wages and pensions, medical care, and creation of conditions for business. An important part of the New Course for Ukraine is the New Strategy for Peace and Security, which will return allow to return peace to Ukraine and the occupied territories of Donbas and Crimea. “We will not ignore the fact that Ukraine has a special document – the Budapest memorandum – and after the presidential election we will initiate negotiations within the framework of the Budapest memorandum. The aggressor country should be put in its place more clearly and rigorously,” she said, adding that Ukraine can change the world’s nuclear disarmament agenda. “We as Ukrainians can change the agenda for nuclear disarmament, and we will do so after the presidential election. And we will not forgive the unfulfilled guarantees, lost territories and lives,” said the Head of the Batkivshchyna Party. Yulia Tymoshenko also urged those present to counter electoral falsifications by the ruling power to and “make every bribe public.” She also recalled that she and a number of other candidates recently signed an agreement on fair elections. “We are all together against falsification of the elections. We are rivals, but we will fight together for fair elections, and we will not allow falsification this time around,” Yulia Tymoshenko said.